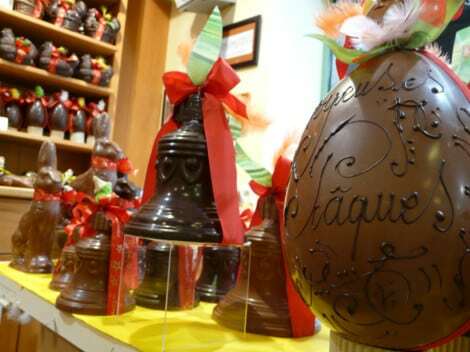 First let’s address the most important French word for Easter: Pâques. (Pronounce it “pak”). It’s commonly used without any article (no le, la, les). Pâques is a plural word, it’s spelled with an S and a circumflex accent. 1 – Le, La, Les or just Pâque(s) ? La Pâque = Passover = feminine singular, used with a “La” before. The word for Easter is Pâques, masculine singular (even though its written with an S). When you talk about events around Easter, so use Easter more like a time than the religious celebration, it’s feminine plural… Go figure! Dictionaries disagree whether the P of Pâques should always be upper case or not, but the common usage points to an upper case. Le Lundi de Pâques (Easter Monday) is a public holiday (un jour férié) in France. Everything is closed. 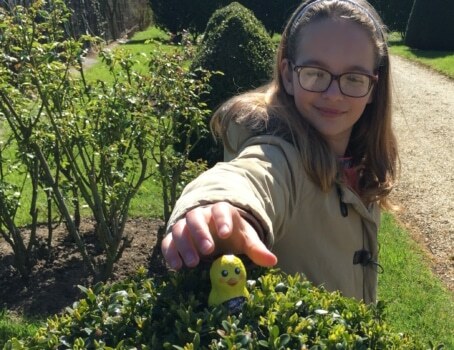 Follow this link to know about the French Traditions for Easter: there are many and my article is full of pictures and fun to read. Pascal(e) : adjective “of Easter”. Un oeuf : an egg, pronounce it “un neuf”, F pronounced. Des oeufs : eggs, pronounce it “dé zeu”, F and S silent. You may also be interested in my audio recordings of the French Catholic mass prayers. What about making a leg of lamb for Easter this year – it’s very easy and Olivier has written a very detailed recipe. And if you’re not crazy about eating meat on a bone, why not try a lamb tajine for an exotic Easter?